Are you looking for one of the “greenest” self-contained carpet extractors in the cleaning industry? The self-contained AquaPLUS AXP by Advance might just be for you. 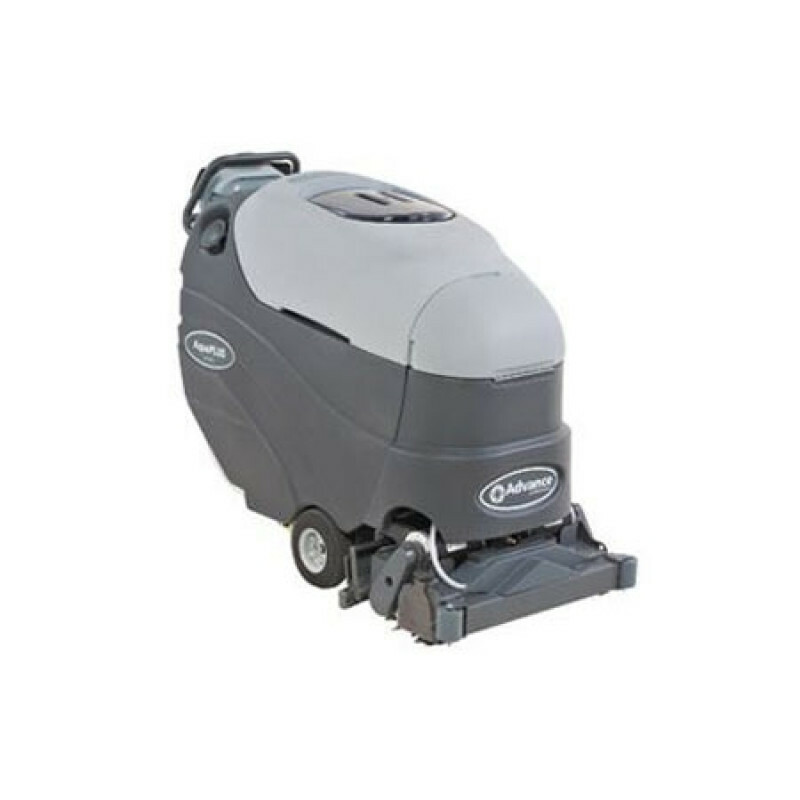 This extractor offers a large 24 inch cleaning path to clean your floors with, while holding 20 gallons worth of solution which allows for up to 10,800 sq. ft of cleaning per hour. These machines not only clean fast, but also meet CRI seal of approval standards for deep cleaning and water removal while using LIFT™ and deep cleaning restoration modes. This seal of approval means you can use this product while knowing your carpets are getting thoroughly cleaned while meeting green-cleaning standards that have been outlined in the new GS-42 guidelines. LIFT technology comes standard on these AquaPLUS units which mean you can expect Low-moisture cleaning. This is done using Indirect spraying that results in Faster drying times (30 minutes or less) and Truly clean floors. The LIFT process incorporates a single-spray nozzle design that eliminates streaking and water overlap that lead to longer drying times. The AquaPlus runs at a quite 69 dB A and meets LEED-EB’s IEQ credit guidelines for quiet operation. The patented AXP system also provides the flexibility to clean with any detergent, like those detergents that are green certified. All this adds up to a machine that is great for daytime cleaning, better for the environment, and better for your floors. Advance also offers a smaller, more maneuverable extractor in the ES300 for those areas that you can't get this machine into. We also offer a wide range of other options in our full line self-contained carpet extractors. The unique Deep Treat™ single-pass, pre-spray feature eliminates clumsy hand-held spray bottles while allowing proper application of pre-spray chemical. LIFT technology utilizes indirect spray to provide superior cleaning, and reducing water consumption. Carpets that dry within 30 minutes of extraction which reduces risk of mold and other airborne allergens. 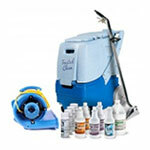 Low sound level and quick dry time allow for safe daytime cleaning. Dual counter rotating brushes won't wear down carpet as much as a vacuum would, preserving the life of the carpet. Brushes are removable without use of tools to allow for easy clean-up after each use. Single touch buttons control proper operation of all functions and makes training simpler and consistent. The Onboard AXP Detergent-Dispensing System minimizes chemical and water use. Extractor comes with Four 251 Ah wet batteries, onboard charger and dual brushes.